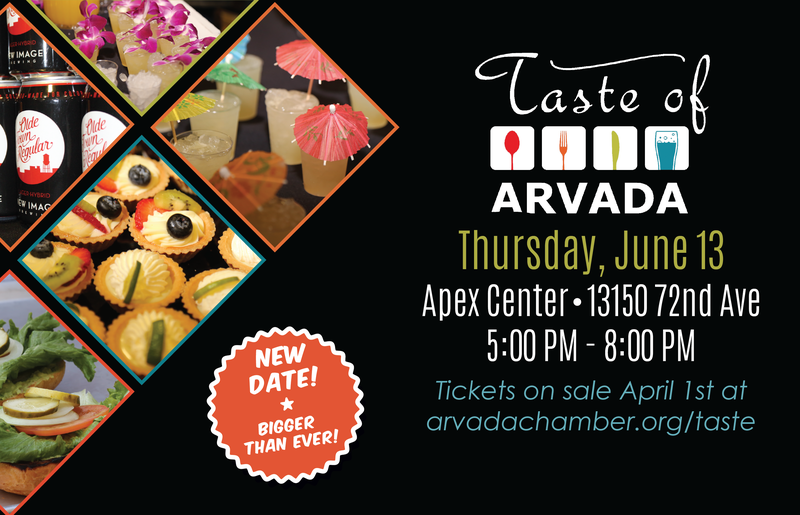 Taste of Arvada returns on Thursday, June 13 at the Apex Center, 13150 72nd Avenue. 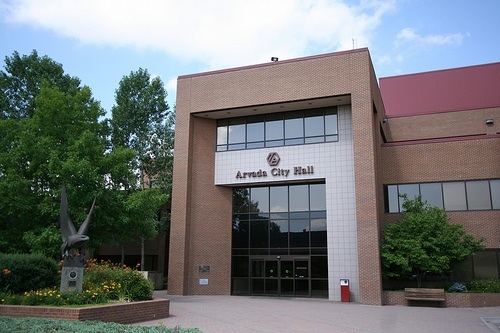 In addition to the new date, this year’s Taste of Arvada will be bigger and better! We are expanding to an outdoor space, with additional food and drink options, live music, art vendors, and more! More than 100 Denver Metro and Arvada restaurants, craft breweries and non-food vendors will display their finest culinary bites, sips and offerings from 6 p.m. to 8 p.m. In addition, restaurant and bar vendors will compete for coveted prizes in their categories, voted on by attendees. Tickets to the event include all the samples from both food and drink vendors. Please bring your photo ID if you plan on sampling alcoholic beverages. We are now accepting applications for restaurants, breweries, wineries, distilleries, food trucks and more to participate at Taste of Arvada. There is no charge to Chamber members to be a vendor. To learn more about this opportunity to meet over 2,000 attendees, please view our restaurant vendor registration form. Taste of Arvada will also feature booth space for non-food and drink vendors. These opportunities are very limited. Learn about costs and sponsorship upgrades at our business vendor registration form. View all our available sponsorships here. Help us throw the most delicious party in Arvada! View all volunteer positions here. 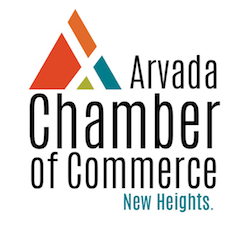 Questions about Taste of Arvada? Please contact Samantha Geerdes at Samantha@arvadachamber.org or call (303) 424-0313.